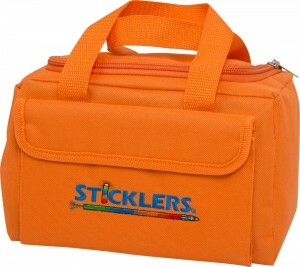 The Sticklers® Fiber Optic Cleaning Kit has been engineered to help field techs clean fiber networks quickly, reliably and inexpensively. This kit puts the time-saving Sticklers® cleaners in a “go anywhere, clean anything” package, giving each tech all the tools they need to get the job done right. Available in a low-visibility black canvas bag and with a selection of CleanStixx swabs suitable for military applications (10 of each of the S25, S16, S12, XMT and P25 size CleanStixx). Or get the kit plus 1 CleanClicker for 1.25mm ferrules and 1 CleanClicker for 2.5mm ferrules.